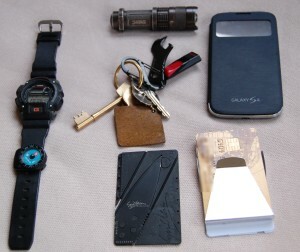 Home » Posts in category "Everyday Carry Blog"
I have a couple of wallets. One is the classic black leather Mont Blanc wallet and the other is a red Armani bought as a gift from a client. I also have travel wallets and money clips. Wanting a change I decided to go for something low key…enter Tyvek Mighty Wallet! 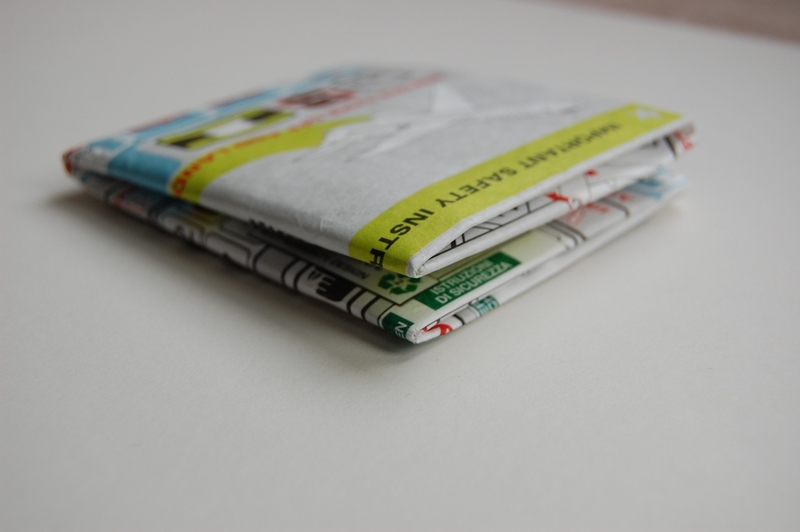 Using one sheet of thin, strong light weight material, its folded into a wallet that has two cash compartments and four card compartments, two inside and two outside for business cards. The maker states these wallets are supposed to also look better with age and are resistant to tears, stains and water so I imagine I will be updating this review at some point! The Tyvek Mighty Wallets come in a variety of designs and I chose mine to look like the safety sheet from an aircraft. 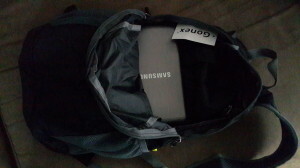 So when it arrived it honestly looked like a piece of paper that been folded up! It the most un-wallet looking wallet I have ever seen! It was sealed inside some plastic wrap and had a the makers information attached with instructions on how to open the packet – which was probably more complicated than it needed to be! 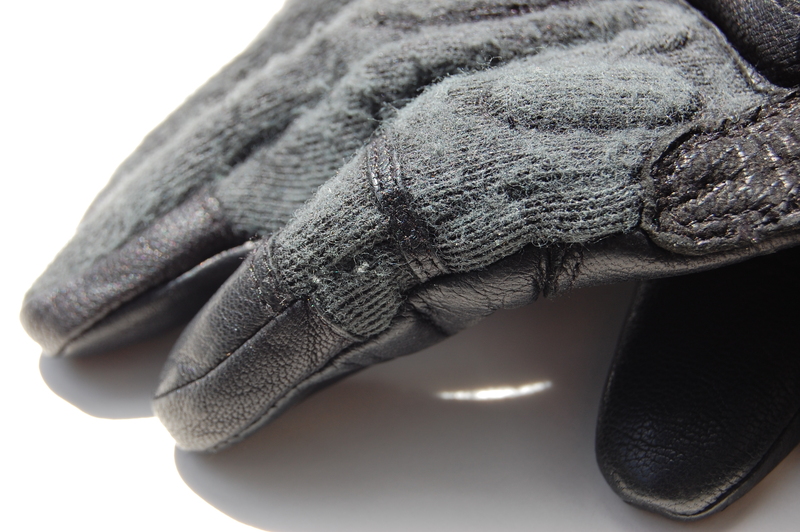 It feels a little smooth to the touch. Its hard to explain but its smoother than paper but not as smooth as laminated paper!? 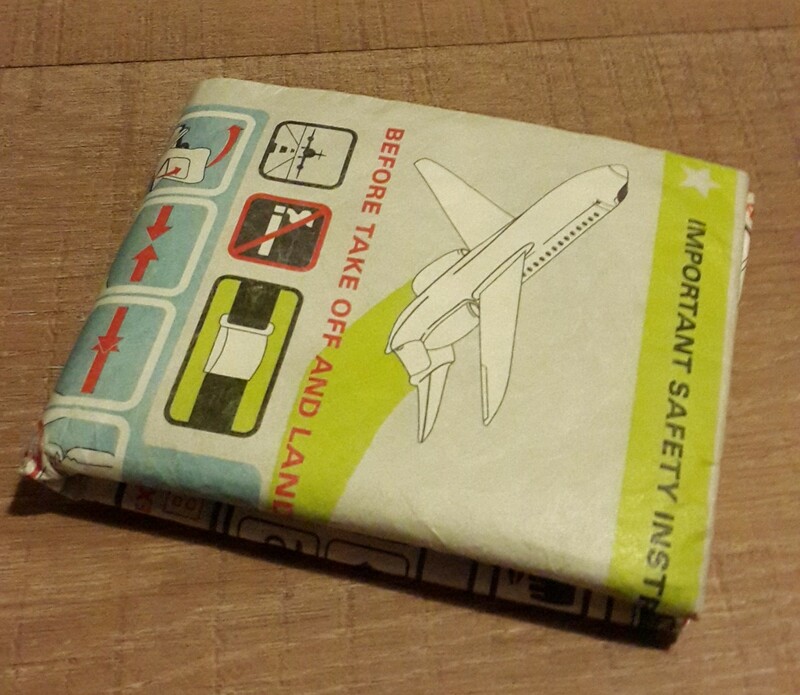 After swapping everything from my current wallet to the Tyvek, it was a fatter than I would have liked. 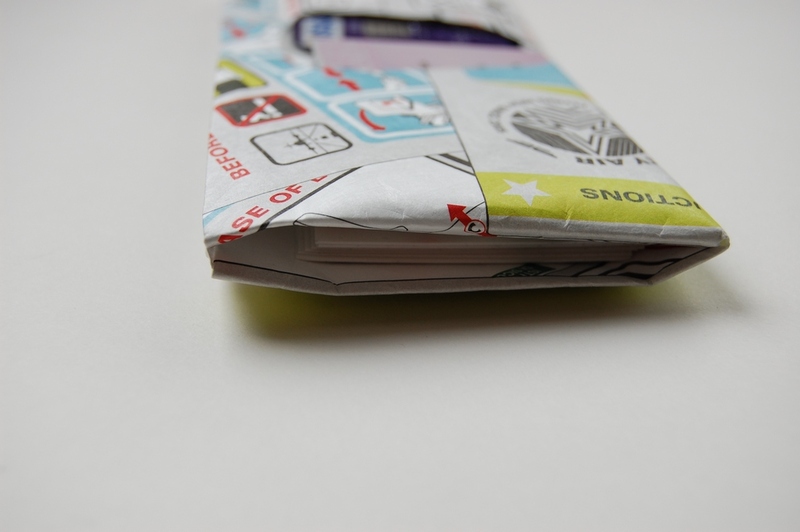 It wasn’t fatter than my other wallet, but because the Tyvek was as flat as folded paper when it came out of the packet, I really fancied have a thinner wallet! 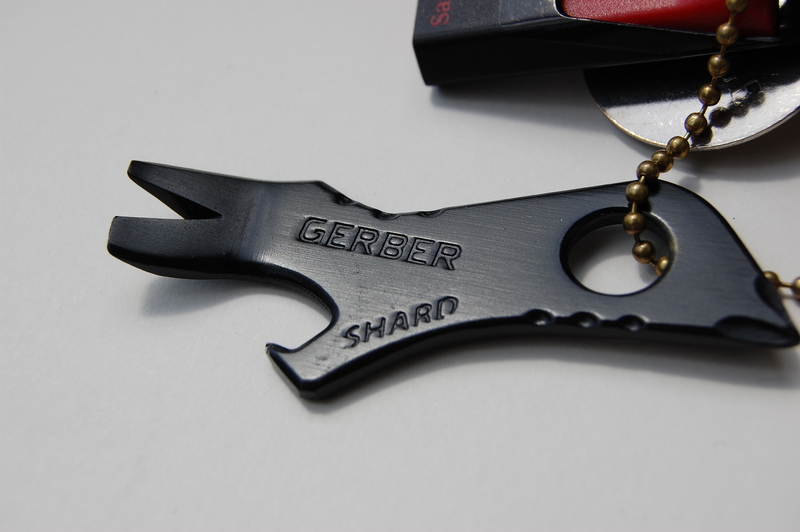 In the outer pockets I put my business cards in one and my Card Sharp Knife in the other. Because these pockets are ‘loose’, the card sharp knife slipped out easily so that had to be moved to an inside pocket. 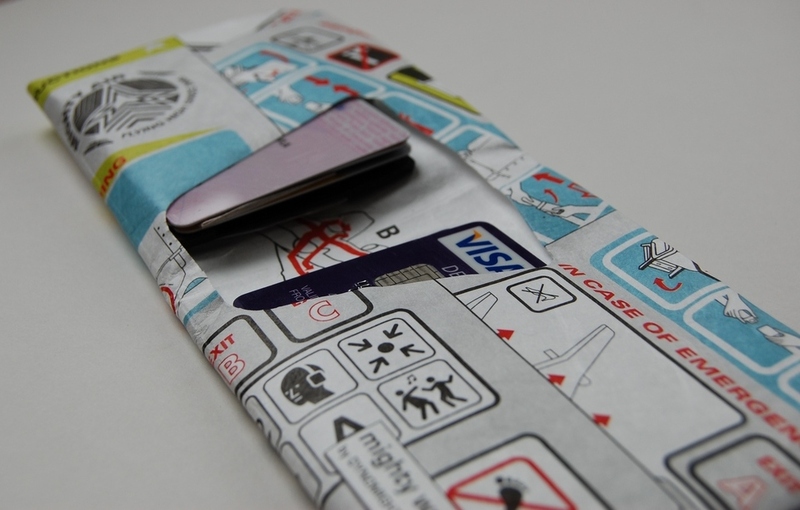 Also, the outer pockets are really just one big pocket that goes through the middle of the wallet – remember that its made from one folded sheet of Tyvek! I decided to get my card count down and really wanted to get rid of the loyalty cards I had built up. I found a great app on the Google PLAY store called Keyring that lets you take pictures of bar codes and membership numbers and store the details on your phone for use in the shops! This cut about 6 cards from the wallet! Inside I have my bank cards and ID cards that are held in securely and won’t fall out when you open the wallet. They are however all on top of each other, which I would guess if you have more than three bank cards you use regularly, could become an issue having to always sort through them. 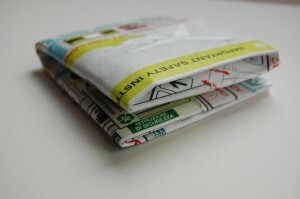 On the cash front it has two pockets that easily take £10 & £20 notes without them sticking out of the top of the wallet. With this in mind, it should easily be able to hold many different currencies. 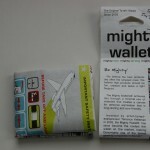 So is the Tyvek Mighty Wallet a good replacement for your traditional wallet? Well with all my cards and a small amount of cash the Tyvek Might Wallet is a much smaller footprint than your traditional leather wallets. Its a good inbetween wallet if you want something more than the micro front pocket wallets, but something less than your usual wallet. Only time will tell how well it wears on a day-to-day basis. 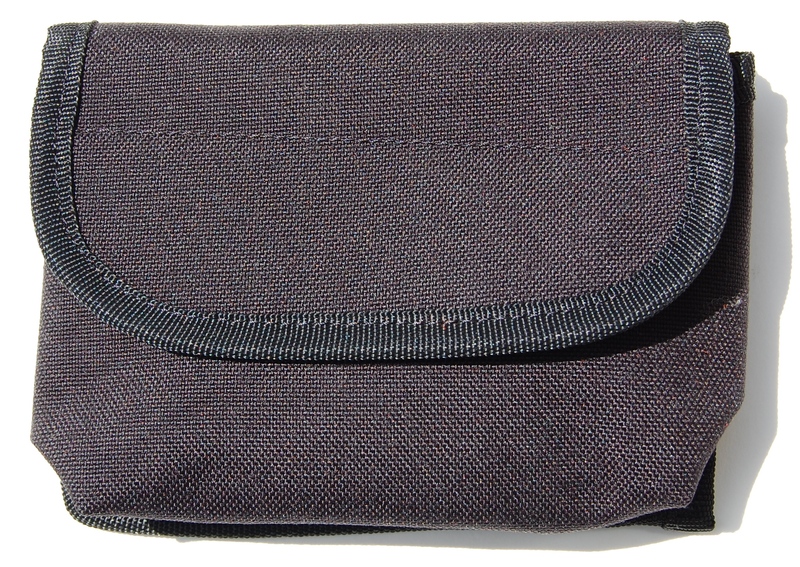 So far I like it and will be using it as my main wallet … At least until I have to put more things in it! 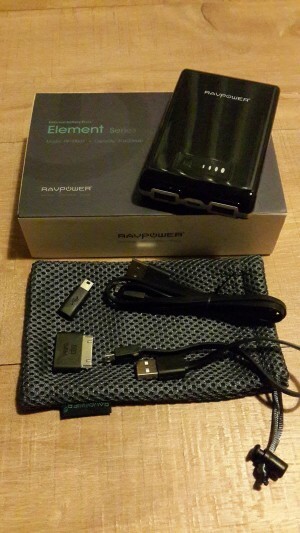 On a side note, shipping from the U.S. took an impressive two days, arriving way before the estimated delivery date! 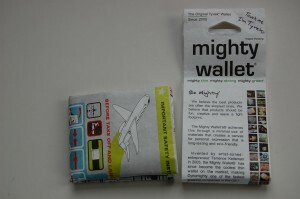 I’ve been using the Tyvek Mighty Wallet for 3 months now, and I’m happy to say it hasn’t let me down! 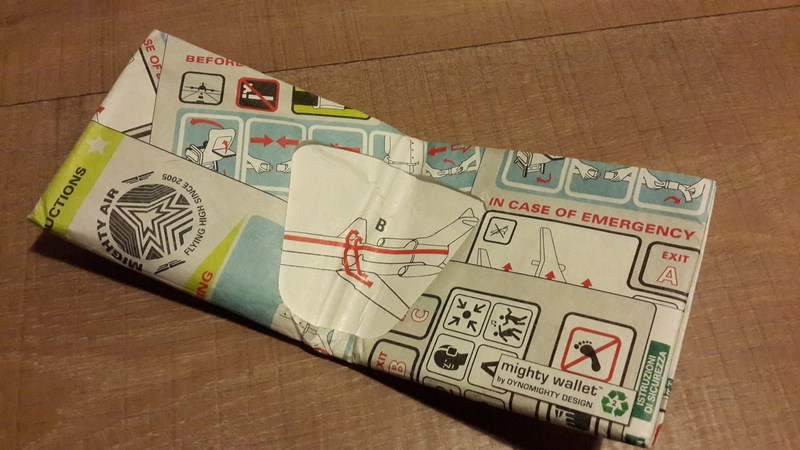 The weak point in the middle at the bottom where the wallet folds is still in one piece. 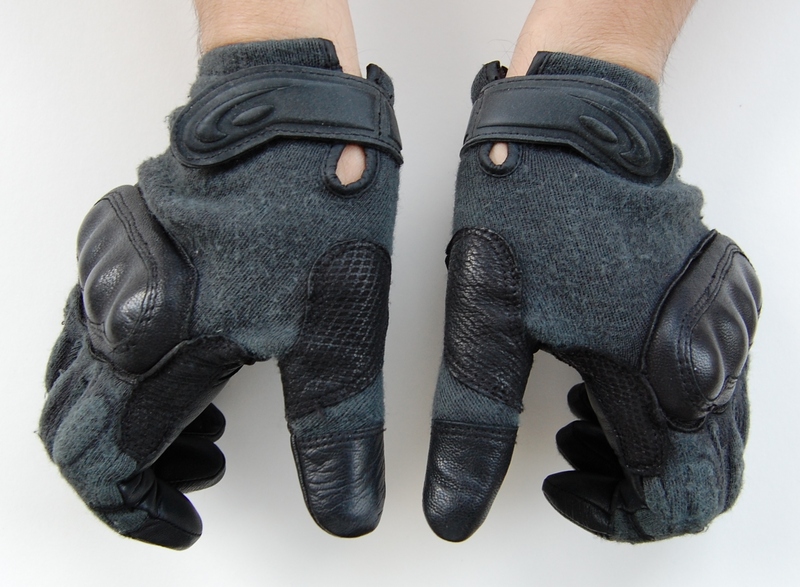 There are no rips and I think it does look a little better now that its worn in. 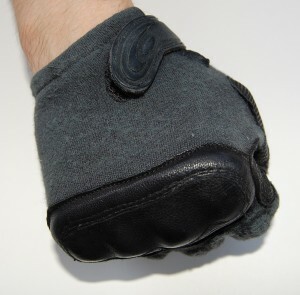 In the time I have been using it, it has slipped out of my hand a couple of times as it is very smooth, but really that my only complaint. If you want something a bit different or something that’s more low-key than the more traditional wallets, then this is a pretty good (and cheap!) option. 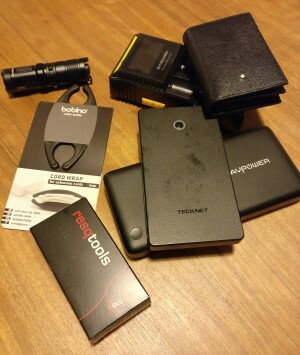 I have many different items for different scenarios…torches are no exceptions! 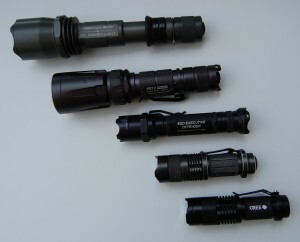 One of my favorite torches for EDC is the Nitecore Extreme Infinity (second from bottom). Its small, VERY bright, adjustable and it has a strobe. So when I was on amazon and saw a torch that looked similar and was £1.74 I had to have a look! 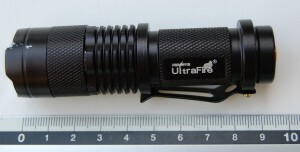 This is an aluminum bodied, adjustable focus LED torch with a belt clip. Lets cut to the chase and quickly mention the main thing you’re all thinking…it was £1.74…it must be rubbish! Well that’s what I was expecting! 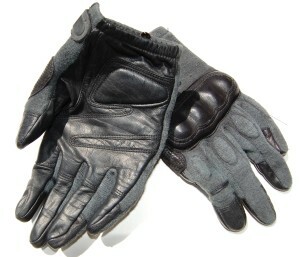 How good could it possibly be for less than £2 including shipping? Well the answer is it’s very good! 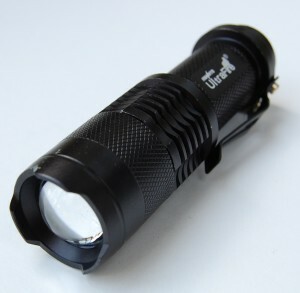 The Cree Q5 torch is very good value for money and a real Amazon bargain! 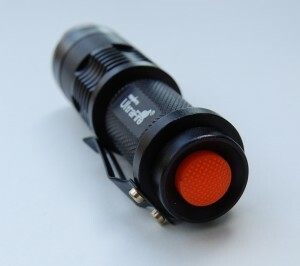 It’s a push-button switch in the base of the torch. It has three modes (high, low, strobe) and each time you press the switch it changes mode, which isn’t ideal. There is also no momentary on so you have to fully depress the switch to turn it on. To adjust the beam focus (wide angle or focused) you slide the bezel back a forward. 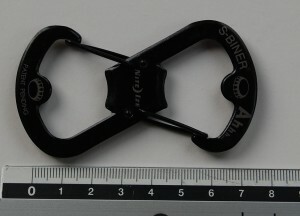 The above image shows it in its extended position. When the torch is on I have noticed that you can see and image in the chip in the center of the beam. I’m not sure if this is a fault or if all Crees will show this. It takes one standard AA battery so its cheaper to run than lights that take the CR123 lithium batteries. The battery compartment is accessed by unscrewing the bezel. I haven’t used this Cree much so can’t comment on battery life yet but if you are interested I just use a standard Energizer battery. The output is stated as 350 lumens. I don’t have a way to measure this but it is bright and definitely bright enough for what I will use it for. 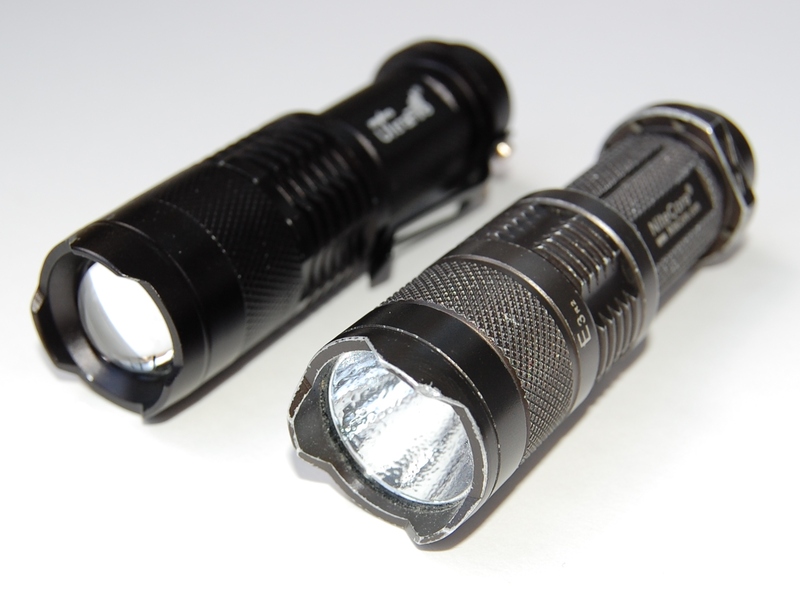 The Cree Q5′s size means that it will easily fit in a bag, glove box, EDC pouch, jacket pocket or bed-side table. The bezel has a ‘defence’ edge to it which is nice. 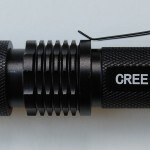 The company also mentions that the Cree is waterproof but I haven’t tested that. I don’t really have that requirement for my torches to be submersed but I think that it would probably be ok if you used this light in heavy rain. The Cree Q5 makes a great addition to your kit! While this torch won’t replace the more expensive Nitecore I use, for the cost it can’t be faulted and my Cree Q5 is now part of the kit I have in my car. This torch ships from abroad and took a good few weeks to arrive so make sure you do what I didn’t do and order more than one! For price, shipping cost and build quality I have to give the Cree Q5 full marks and 5 stars! 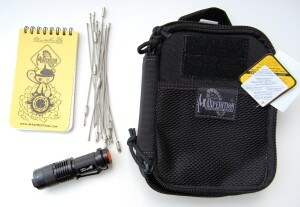 Check out this great little EDC torch here! 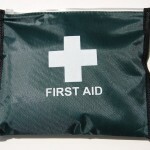 I have many first aid kits! 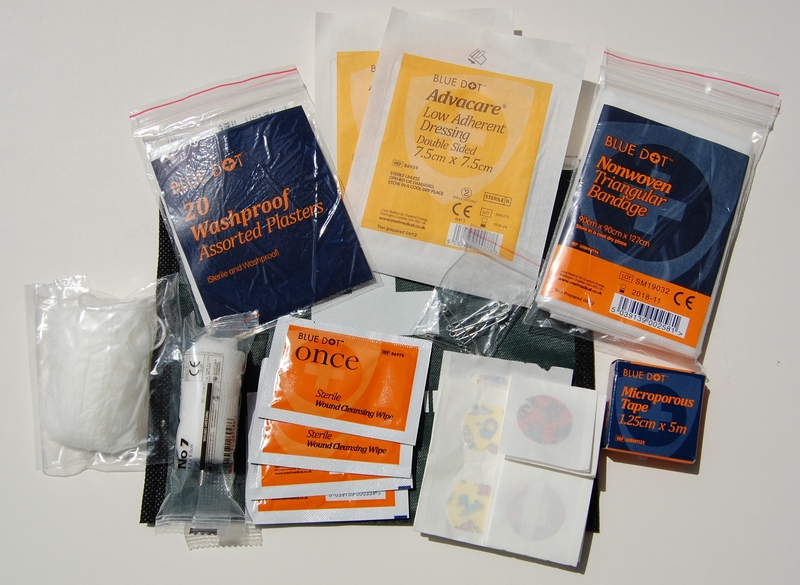 First aid kits in the car, travel first aid kit, work first aid kit, sterile needle kits…the list goes on. 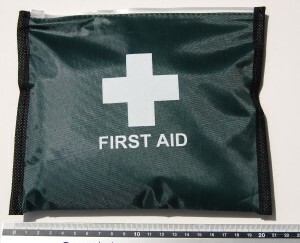 But I decided I needed a new very basic first aid kit that I could carry discreetly under my suit for work. Not wanting to take items from my other kits, I started looking at buying items separately but this was going to work out more expensive than I would have liked. 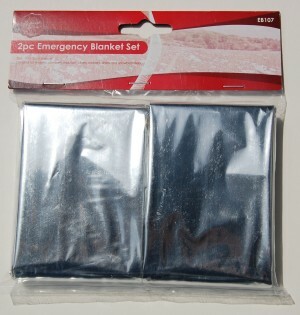 It was then that I found the 57 Piece First Aid Kit on Amazon! What was astounding is the price…£1.95 plus delivery of £2. 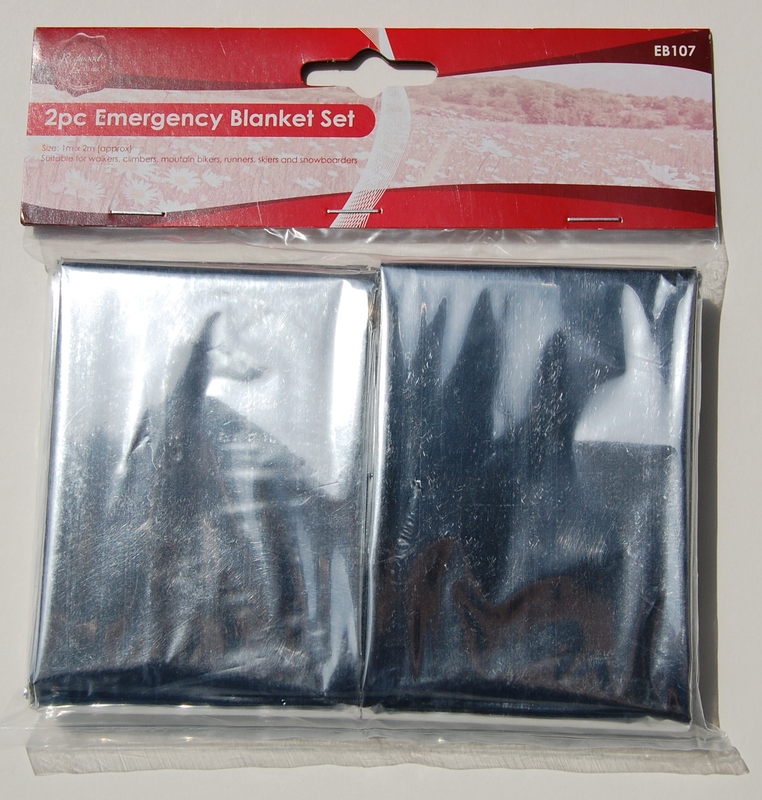 I also purchased the ‘Frequently bought together’ item of two emergency blankets for an extra £1.39. 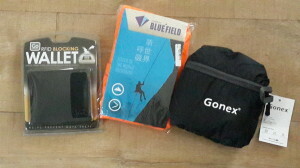 When the items are in the pouch there is still plenty of room to add your own bits should you wish. As it takes up little room it would make a great buy for children going away, festivals, cars, take away on day trips, its really very versatile. 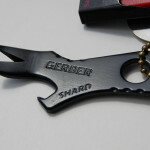 I’ll be using bits of this kit to create my new simple EDC first aid kit. 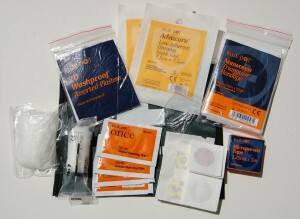 There’s nothing complicated about this first aid kit and all the items can be used with little or no instruction. 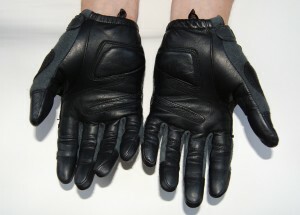 Items are CE marked meaning they conform to EU standards. This kit is excellent value for money. 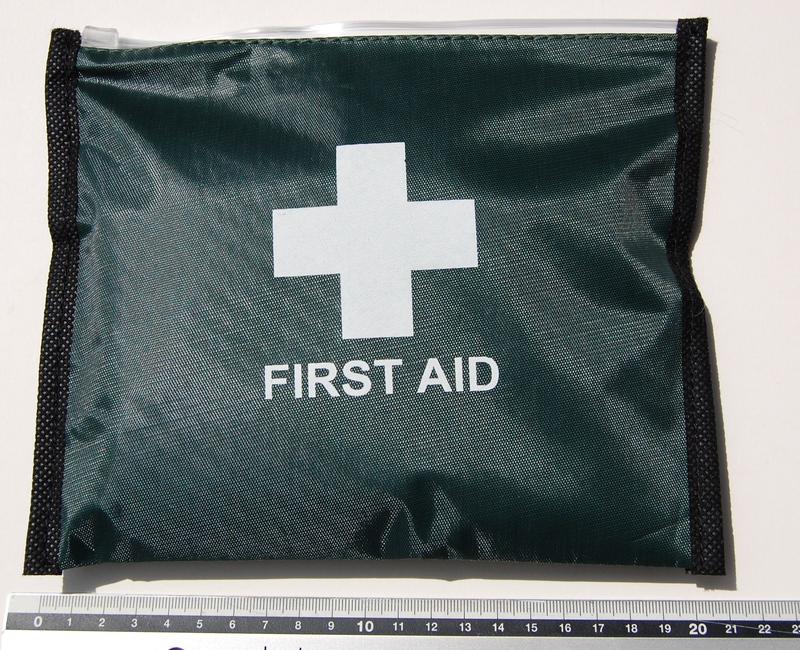 For under £4 including delivery, you get a basic first aid kit in a nice waterproof zip-lock pouch. Ordered on a Friday night, delivered on the following Thursday.